Thor was a surprisingly good movie and I had low expectations for that one. He’s pretty badass in The Avengers as well. 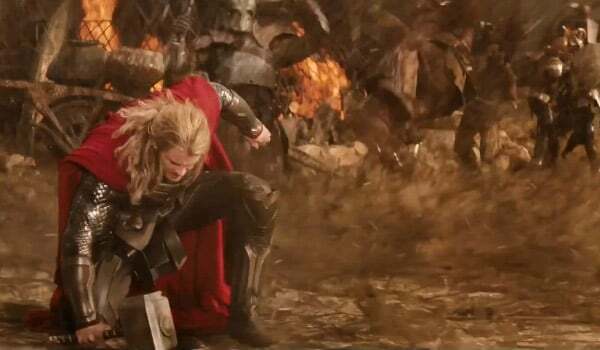 Now Thor is back in Thor: The Dark World and the trailer just premiered online! It looks like an entertaining flick! Alan Taylor, who directed a lot of episodes of Game of Thrones, is directing this time. The film stars Chris Hemsworth, Natalie Portman, Tom Hiddleston, Stellan Skarsgård and Idris Elba. The movie comes out November 8th 2013.